During the 2009-2010 school year, a committee was formed for the purpose of creating and implementing a Nursery through Twelfth Grade policy on Sustainability. The following policy was adopted in time for the start of the 2010-2011 school year. As members of a caring community, we at Horace Mann School strive to use the resources of the Earth responsibly. We work to acquire the habits of thoughtful stewardship of the environment. We educate ourselves about the global costs and consequences of our actions. We endeavor to work across the community to develop practices that will contribute to a more healthful future. Our commitment to fostering great and giving lives of students, families, alumni, faculty, and staff includes serious and sustained efforts toward sustainable living. Attention to the environment and sustainability is consistent with the school's core values. Horace Mann School will work to include these considerations in every aspect of its culture and to instill awareness of them in each member of the community. This awareness includes considerations for local and global wellbeing, and will cultivate decency, equality and mutual respect for all other human beings and living creatures. All constituencies in the Horace Mann School community are encouraged to contribute thought and action to sustainability challenges in the communities to which we belong. We include sustainability and care for the environment among the core issues such as discrimination, equality of opportunity, citizenship, social equity, and cultural and spiritual awareness that inspire members of our community to take positive and constructive actions. Horace Mann School supports Nursery through Upper Division curricula that teach eco-literacy across disciplines and encourage our students to become ambassadors for sustainability. We provide curricular, extra-curricular, and service learning activities that allow understanding of the complexity of environmental challenges. Collaborating with parents, local businesses, schools, and community groups, we regularly engage in activities that promote sustainability. 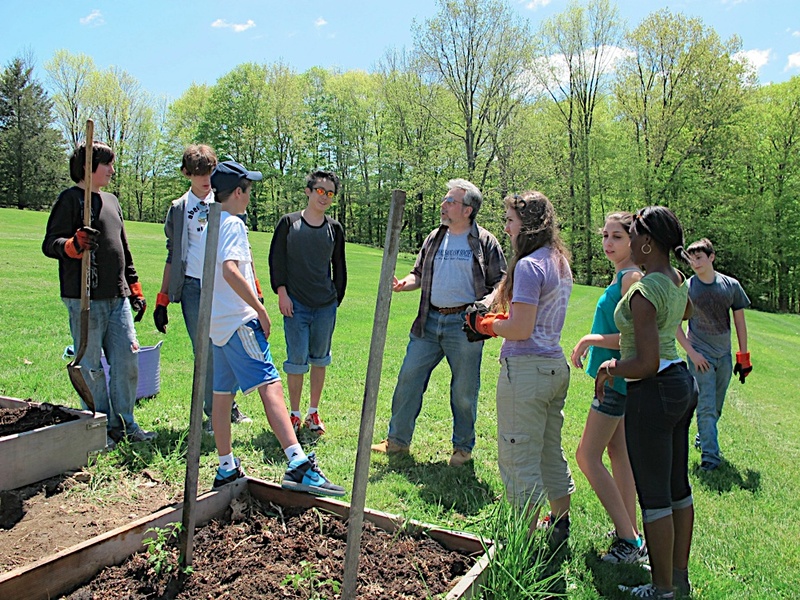 Horace Mann School nurtures global consciousness and accepts responsibility for promoting sustainability. As a school, we participate in many activities linking us to the wider world. We extend this ethos throughout the School in our determination to move towards a healthier, safer, more inclusive and equitable society. We acknowledge that healthful eating helps to improve student, faculty, and staff health, concentration and learning. Where possible, all food and drink is produced locally and chosen with consideration for the agricultural practices used in its production. We are conscious of the need to conserve energy and water and the School promotes methods to encourage efficiency in these areas. We continuously monitor energy use and develop ways of reducing consumption. Horace Mann School promotes transportation to and from school that minimizes negative environmental impacts and reduces emission levels and congestion. We continue to urge an end to auto and bus idling in compliance with New York State law and to encourage the use of public transportation, car-pooling, walking and cycling. Horace Mann School gives priority to considerations of environmental impact in all purchases and contracts with vendors. We strive to choose products that are both functional and environmentally sustainable. We factor in the long-term and far-reaching environmental impacts of our consumption. We establish guidelines for the correct and safe disposal of all waste, and we reuse or dispose of old equipment in an ecologically sound way. The School strives to reduce, reuse and recycle and has a policy of printing only when necessary. Equipment and lights are switched off when not in use. The School addresses environmental concerns in all maintenance, construction, refurbishing, and landscaping decisions, including regular review of performance and conservation practices. We consider biodiversity and habitat preservation as we make decisions about our future. Sustainability planning, implementation and review are ongoing processes that require education and participation of the community. We establish organizational structures to enable this process. Administrative leadership directs and facilitates our commitment. The effective communication of annual goals and objectives helps us to advance the efforts of the School.